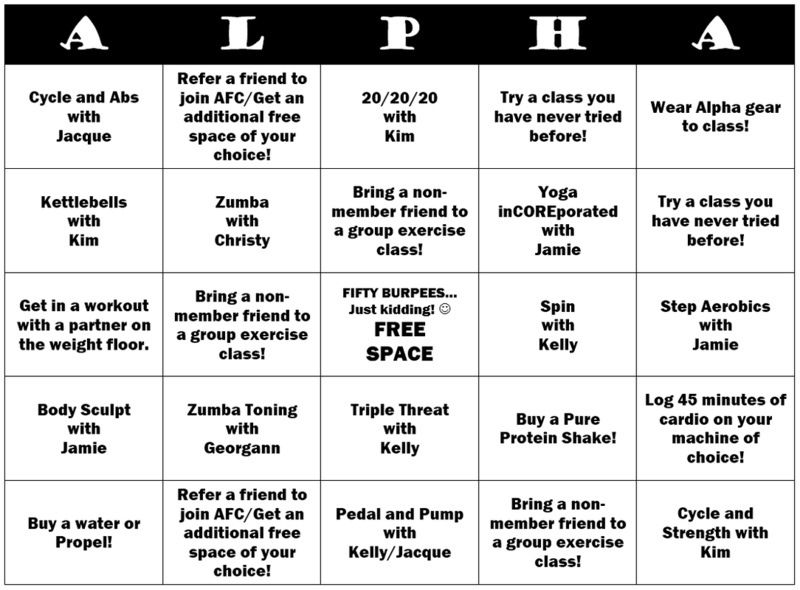 Grab your cards and additional information at the Alpha Fitness front desk! 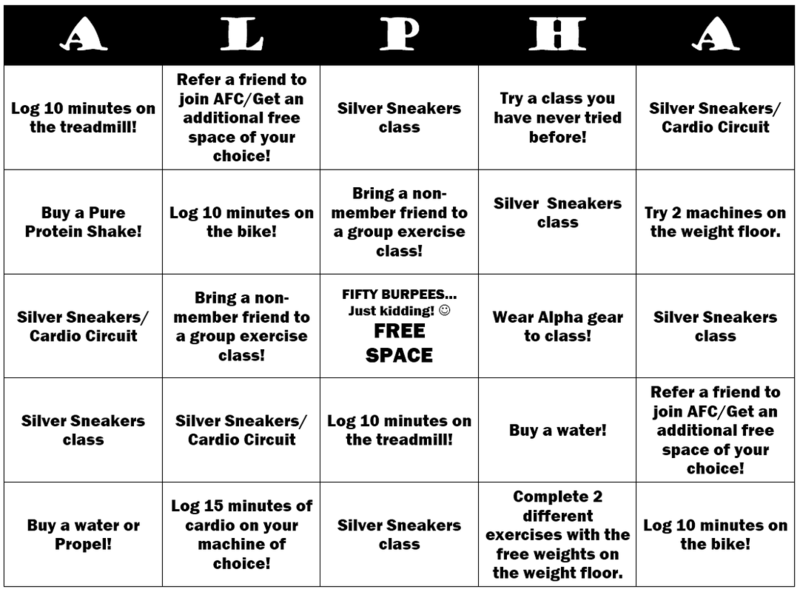 You must be a member of Alpha Fitness Club to participate. Bingo starts on Monday, August 6th and will end on Friday, August 31st. Join in anytime! Get your bingo board from the front desk. Put your name on the top of your board. A staff member will hang it on the bulletin board for you. Each time you complete a suggested activity, you or a front desk member can cross off that square. You will use the same board all month long to get as many 5 in a rows as you can. Fill your entire board and earn 5 extra tickets! Two winning tickets will be pulled from the ticket bin and announced on Monday, September 3rd! Winners can collect their prize at the front desk!